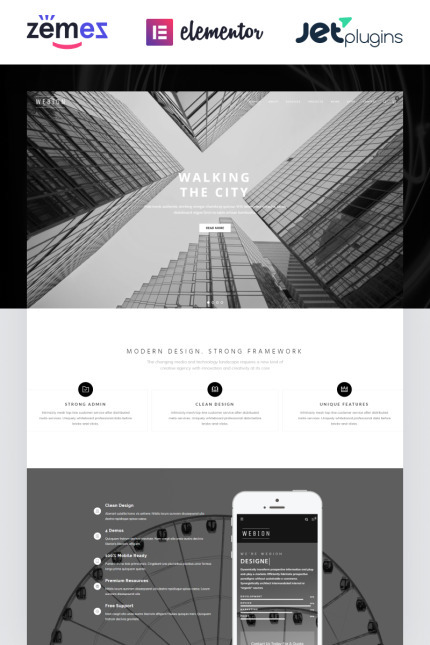 Meet immaculate and highly functional Minimal Multipurpose template - Webion! Fully loaded with great variety of plugins, it meets the needs of businessmen and entrepreneurs working in various spheres. The theme doesn't require any coding skills from you to create your own content layout. You can easily do it with the help of drag and drop Elementor page builder. 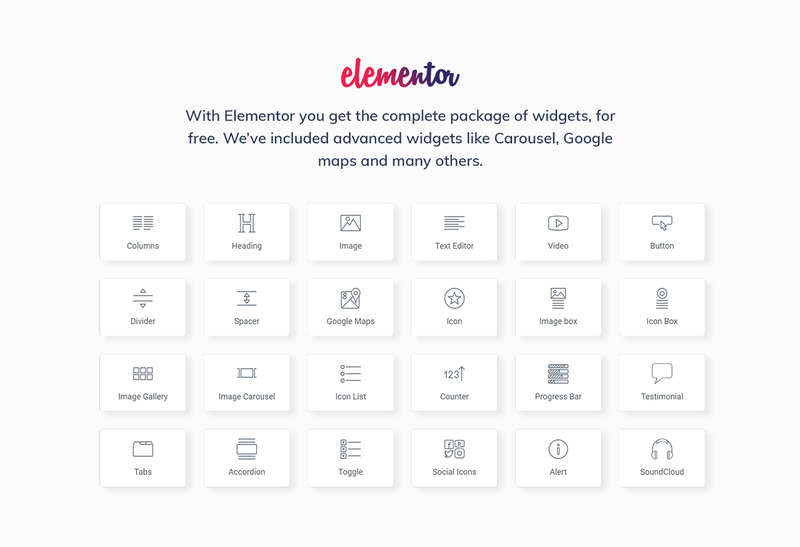 Strawberica also comes with JetElemets addon for Elementor, which adds various custom blocks to your website's page layout, containing additional modules, not included in the standard Elementor page builder elements bundle. 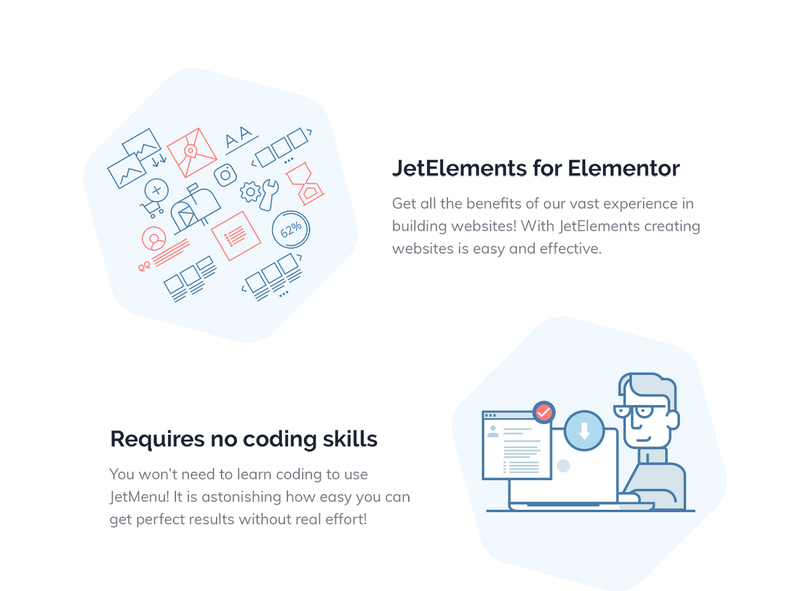 Discover JetMenu plugin and create your own custom Mega menus and other features within few clicks! With this theme you will be able to show up your company’s services, introduce your staff, display your satisfied clients' testimonials and much more! 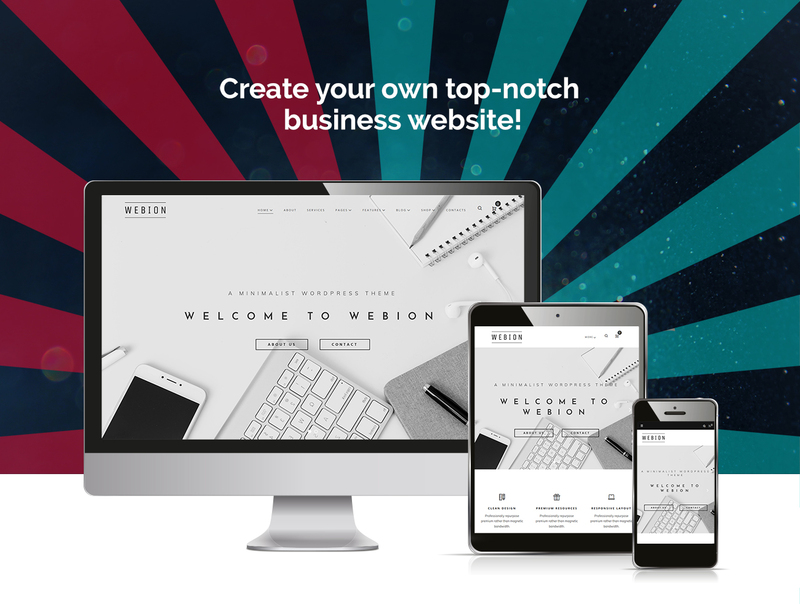 Being truly SEO-friendly, Webion provides you with a codeless layouts creation and allows you to edit your website in a visual mode. Let the whole world know about your Minimal Multipurpose WordPress Theme!